The "Pink Hat Guy," Jim Anixter, will don a Gulden's yellow hat for National Mustard Day this Saturday. CHICAGO — Wrigley Field's "Pink Hat Guy" is switching teams. Well, at least when it comes to his hat. 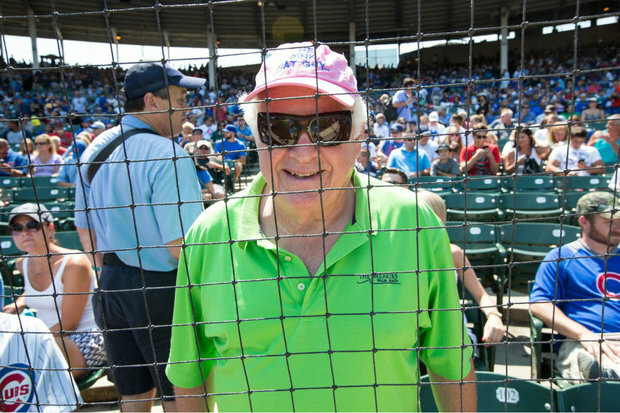 Jim Anixter, a Cubs fan known for sitting behind the stadium's home plate during games, has long worn a pink hat so his wife can easily spot him on TV and (as he's joked) know he's not "fooling around." But Anixter plans to toss his pink hat and put on a bright yellow one Saturday. The yellow hat will honor the mustard company Gulden's for National Mustard Day. 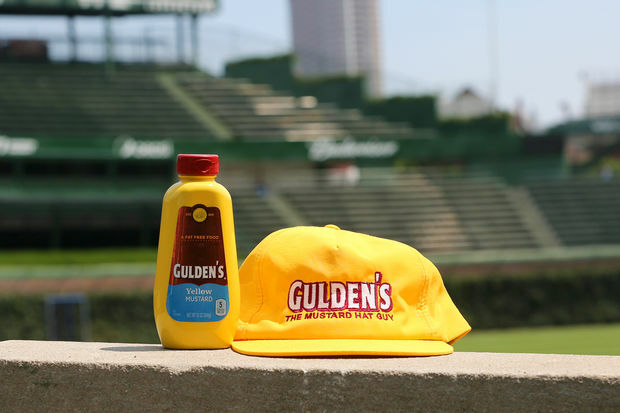 Gulden's is becoming the official mustard of the Cubs, according to a news release, and Wrigley Field will serve the company's yellow and spicy brown mustard this week. "I've been to almost every Cubs game since 1967: same team, same seat, same pink hat," Anixter said in a video. 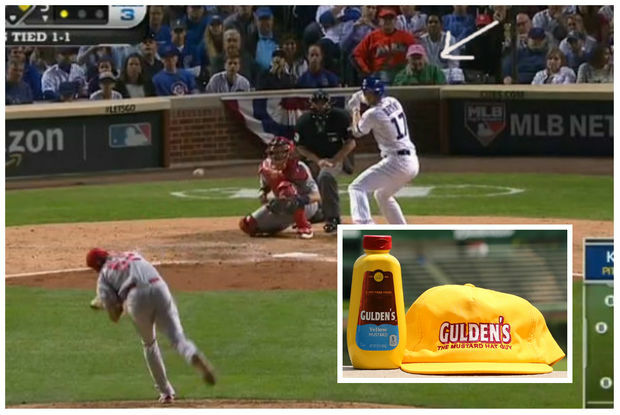 "But to help Gulden's defend the dog on National Mustard Day, I'll be changing my lineup. "This Saturday I'm [going to] be the 'Mustard Hat Guy.' "
Jim Anixter is the "Pink Hat Guy." And if you miss the pink hat behind home plate, don't fret: Anixter will return to his pink-hat-wearing ways after National Mustard Day. What's Happening To The Huge River North Sports Authority?